Are you obsessed with coffee? I know I am, and to celebrate not only my love for coffee, but my new position as a brand ambassador for Crazy Cups I'm hosting a Coffee Lovers Giveaway as part of the Grillin' Up Giveaways Hop sponsored by The Hopping Bloggers. 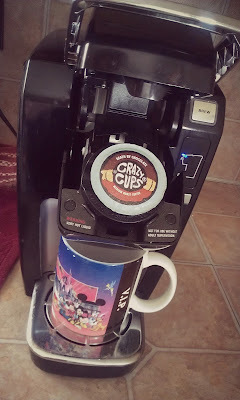 I must confess, I have a little bit of an addiction...an addiction to K-cups. I have boxes of them stacked a foot and a half high on top of my pantry cabinet. Tea, coffee, cocoa, cappuccino, you name it, I probably have a box of K-cups for it. The boxes take up a ton of room and in cases where I buy a sampler box, I have to dig through them to find the one I want. The solution? This really handy K-cup organizer from Konceal. 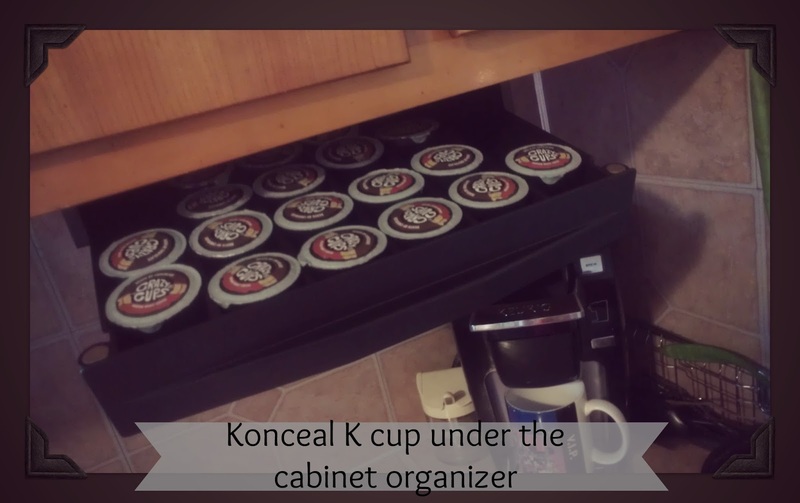 Konceal K-cup organizer mounts under your cabinet, counter top, or even inside your cabinet and keeps your K-cups off of the counter top or out of the cabinet saving you a ton of space. The drawer mounts to your cabinet with an adhesive that's already on the organizer or you can mount it using the screws provided. Mine was mounted using just the adhesive and it's up there pretty good. That sucker isn't coming off. The organizer holds about 30 standard size K-cups (5 in each section) and the drawer slides forward so you can see inside to fill or remove the Kcups. 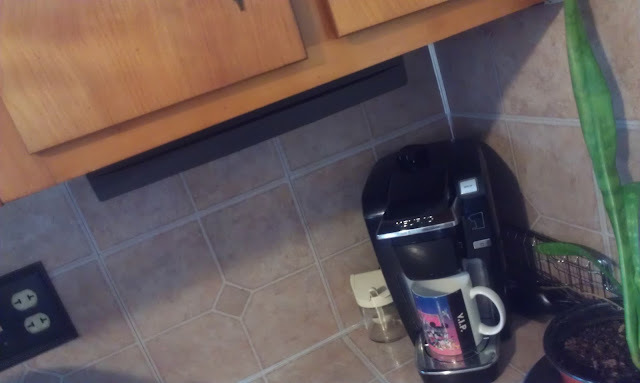 When you're not using it, it just slides back up into the holder and locks in place with magnets. See how out of the way it is hiding up there under my cabinets? It takes up less than two inches so it's not going to be obtrusive and it still makes the area look clean and organized. Coffee and chocolate: two delicious flavors blended to perfection and waiting to make your morning! 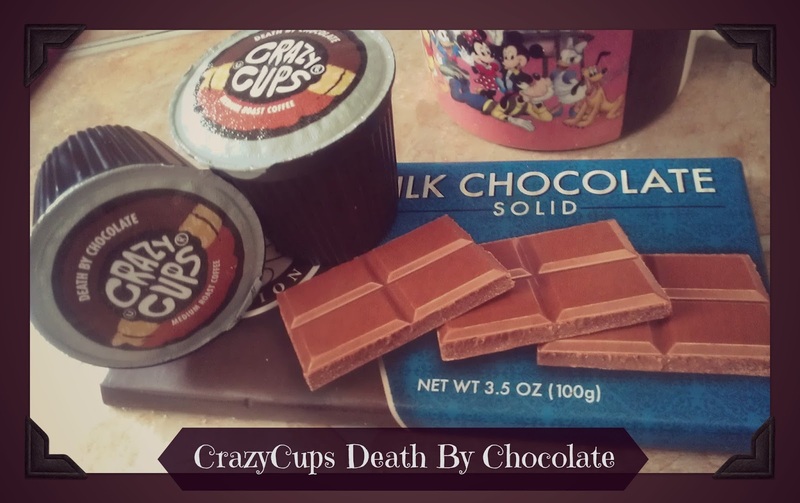 Death By Chocolate flavored coffee by Crazy Cups will make your morning brighter by blending two favorites, coffee and chocolate, together to form a rich, delicious flavor in your favorite cup. Crazy Cups brand single serve coffee cups come in a variety of flavors for every season and taste. I'm definitely not a morning person, so I rely on coffee to get me through my day with two kiddos and lots of work. I often get so tired of plain Jane coffee and really love a kick of flavor every now and then. 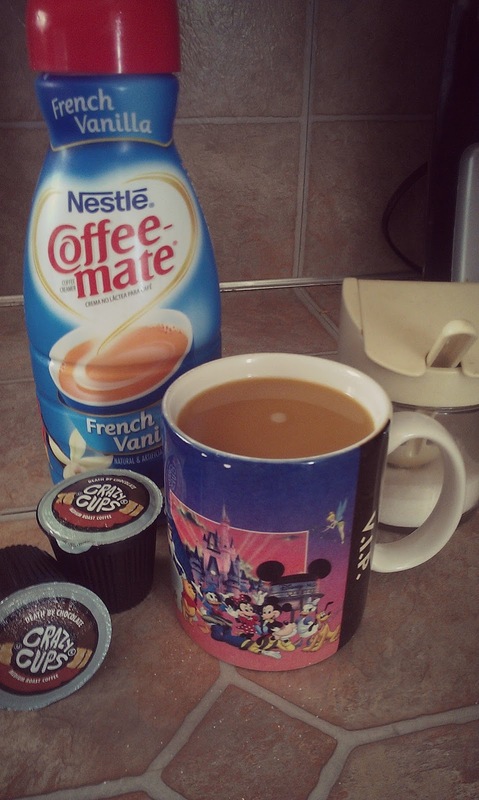 Crazy Cups Death By Chocolate flavored coffee, is amazing on it's own, but I love adding a little bit of sugar and creamer to all my coffee flavors. Death By Chocolate is amazing! I love getting my coffee and having the added bonus of taking care of my chocolate craving as well. 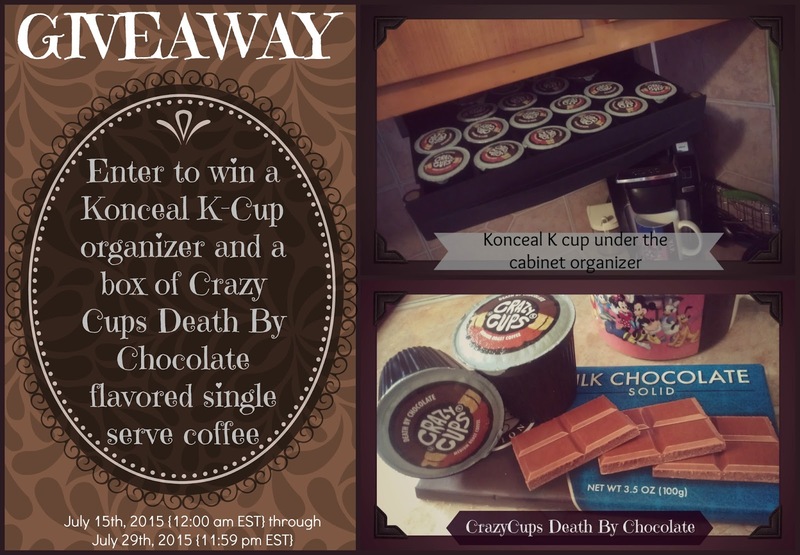 Visit www.crazycups.com for this and other great flavors of coffee and hot chocolate including sampler packs! Enter below for your chance and good luck lovelies! Welcome to the Grillin' Up Giveaways Summer Giveaway Hop, brought to you by The Hopping Bloggers & Up All Night Blogging! Hosted by Mama Smith’s Review Blog & Women And Their Pretties Co-Hosted by Cia Denise & Real Advice Gal Each blogger participating in this hop has a giveaway with a prize value of at least $15 – and some are much more than that! Be sure to scroll down the whole list and visit them all – there is no limit to how many prizes you can win! Good Luck and Have Fun! This would go great in my kitchen and looks delicious. Thank you for a chance. I do love coffee! It is the first thing on the to-do list in the morning - Make and Drink Coffee. I like almost any flavor - my current favorite though is the Komodo Dragon blend from Starbucks. I adore coffee! I drink at least 4 cups per day. My favorite flavor is chocolate! Oh I love french vanilla coffee and iced coffee. Yum! I love French Vanilla, so tasty! yes i do love coffee! my favorite flavor was ARABICA COFFEE!! I don't have a favorite flavor but I tend to prefer breakfast blends oveall. I do love coffee. My favorite is a seasonal one and it's Spiced Pumpkin, I also like chocolate coconut flavored coffee..
We love coffee. Our favorite is a medium blend. I love coffee. I'm a fan of flavored coffees - like chocolate or donut. Any coffee that is strong is the best. I love coffee...all of it! I really like a good strong roast! !